Audio-Technica first launched their new System 10 digital Stompbox Wireless System (ATW-1501) at the 2014 Namm Show at Anaheim, California. This pedalboard-mounted wireless system that streamlines signal flow and reduces stage clutter is now available in Singapore. 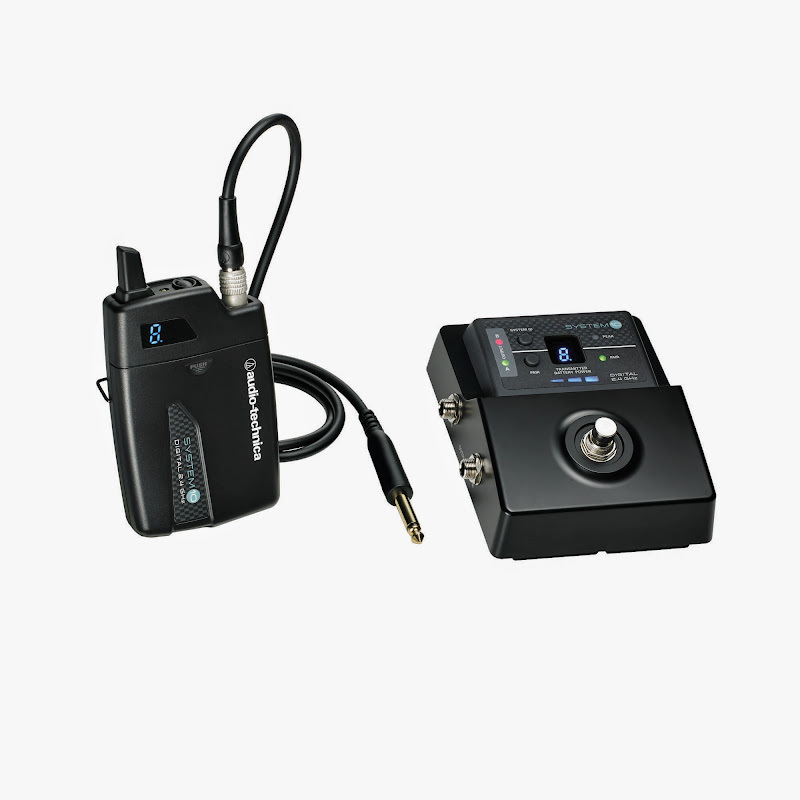 The system combines the advanced 24-bit operation, easy setup and clear sound quality of other System 10 wireless configurations to provide unique functionality for guitarists, bassists and other instrumentalists. It also provides an A/B switcher for multiple signal options. Operating in the 2.4 GHz range, far from TV and DTV interference, the System 10 Stompbox offers a rugged, metal, pedal board-mountable receiver with foot switch, two switched TRS balanced 1/4-inch outputs and an output mode selector. With the tap of a foot, musicians can toggle between outputs (e.g., for switching amps) or mute and unmute one output without muting the other (e.g., for tuners without a self-muting feature). A single receiver can be paired with up to eight UniPak® body-pack transmitters, allowing users to easily switch between instruments without having to move a body-pack from one instrument to the next. System 10 wireless ensures clear communications by providing three levels of diversity assurance: frequency, time, and space: Frequency Diversity sends the signal on two dynamically allocated frequencies for interference-free communication. Time Diversity sends the signal in multiple time slots to maximize immunity to multipath interference. Space Diversity uses two antennas on each transmitter and receiver to maximize signal integrity. Each ATW-1501 Stompbox system includes an ATW-R1500 Stompbox receiver, an ATW-T1001 UniPak body-pack transmitter with an AT-GcW guitar cable, and Velcro® strips for adding receiver to an effects pedal board. The ATW-R1500 is a digital receiver with sturdy, metal-body construction, easy-to-read digital ID and transmitter battery level displays, and AF Peak and Pair indicator lights. The System 10, Stompbox Digital Wireless System will be available from June 2014, MSRP S$459. All times are GMT +8. The time now is 10:22 PM.